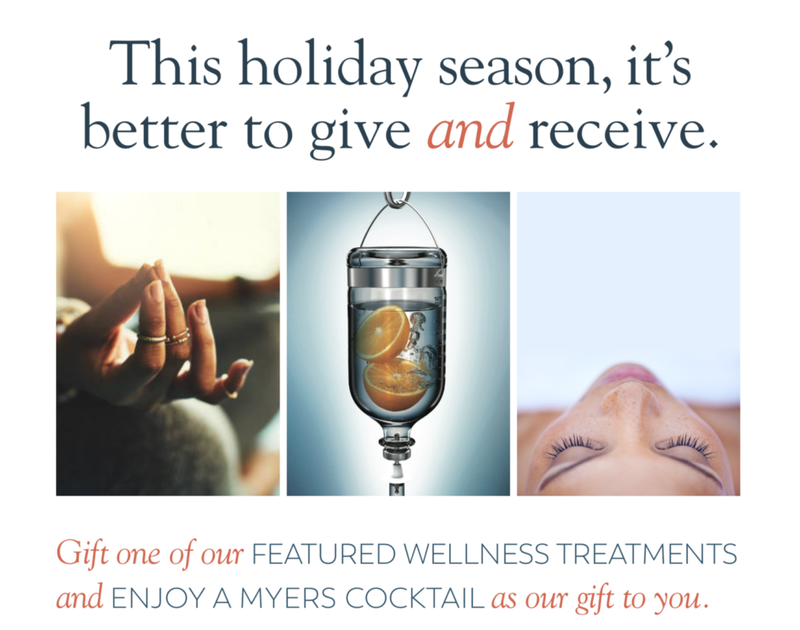 We’re really proud of our wellness team, and we hope this makes it even easier for you to experience their talents and feel your best this holiday season. And you know how we feel about self-care—so no judgment at all if you’d like to enjoy both wellness treatments personally! Call us at 720.222.0550 to schedule or gift today! *Limit one offer per client. Must purchase or reserve wellness service by 12/31/2018. Complimentary Myers Cocktail certificate good until 12/31/2019.